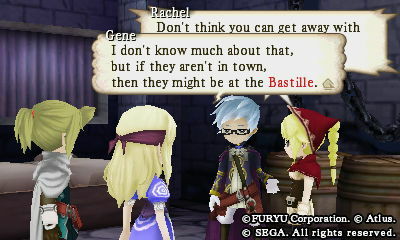 I’m not going to claim to have known much about The Alliance Alive going into it. I knew it was an RPG published by Atlus, and developed by FuRyu, but that’s more or less where my familiarity with it ended. It’s a successor of sorts to The Legend of Legacy, sharing much of its team with that game. I never played The Legend of Legacy, so everything I know about it is second-hand; I went into The Alliance Alive with a truly fresh perspective. 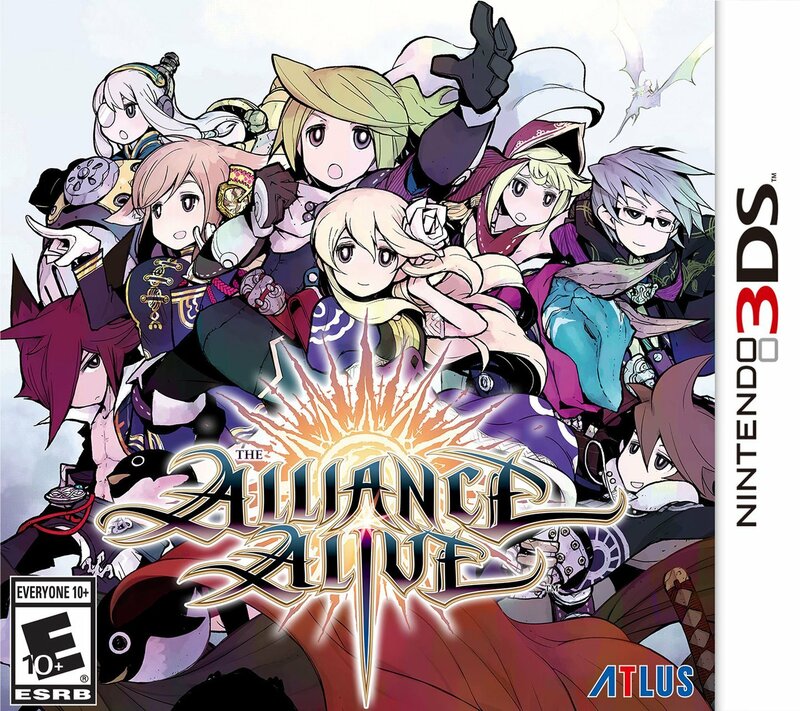 Alliance Alive is set in a world after a large-scale war between humans and a powerful race known as Daemons, a thousand years prior to the story’s beginning. The humans were defeated, and the Daemons sealed the world off from the sky with the Great Barrier. The world was further divided into five realms on four separate continents, separated by a dangerous, corrupted, cross-shaped area of ocean known as the Dark Current. 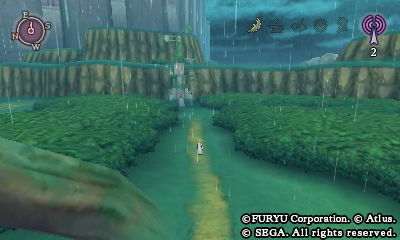 The story begins with a boy named Galil and his childhood friend Azura, living in the city of Svalna in the Rain Realm. Azura wants nothing more than to see the blue sky, which at that point is nothing more than a legend. The early parts of the story jump between the perspectives of three main groups of adventurers, hailing from different realms of the human world, before they meet up and the story begins for real. Once the world truly opens up – roughly 20 hours in – the player is tasked with building an alliance between the world’s five human guilds to fight back against the Daemons. Galil and Azura team up with fellow Svalna resistance members Renzo and Barbarosa, the eccentric Daemon noble Vivian and her butler Ignace, and the Burning Realm’s young inventor and scientist Tiggy with her power suit Swan Song. I really wish it was easier to see myself on the world map. I found that the early portions of the game somewhat sell it short. Although the game is never truly open – there’s always one place you have to go before you can visit later areas – it gives a much greater sense of freedom, as the game puts you in charge of the five guilds. You can gather new guild applicants and guildmaster candidates as you explore the world and talk to NPCs, building various guild towers at specific points in the world and assigning your applicants to the various guilds. Each guild provides its own benefits, which increase as you assign new members to it. In addition, being close to guild towers during combat has them sending you aid in combat. The openness is nice and never feels overwhelming, even after you realize that it’s more or less just the illusion of freedom. Weapons are divided into eight categories, with seven (as well as unarmed) usable by everyone with the other usable only by Tiggy. Each weapon type has a series of skills associated with it, which a character awakens gradually by using a weapon type in combat. In addition to gaining new, stronger skills, using a skill repeatedly will also cause it to advance, growing stronger when used in specific positions in combat. The formation of your five active party members can be changed, placing your team members in three different lanes and giving them positions divided into attack, defense, and support categories that provide different stat boosts. Through combat your party members’ HP and SP will increase, seemingly at random intervals, as well as gaining Talent points, or TP. TP can be spent on Talents for each weapon type as well as magical Signimancy or Sorcery, although Sorcery is only usable by Daemon or Beastfolk party members. The Talents have effects such as reducing SP costs for skills, increasing position bonuses or improving skill acquisition rates; as well as miscellaneous effects such as reducing enemy detection ranges in the overworld, improving SP recovery rates in combat, or reducing prices at stores. Tiny foxgirl with a huge sword. Combat otherwise is pretty standard, aside from the formation and position systems. Each character’s skills are sorted into categories: the two weapons they have equipped, Signimancy or Sorcery they can use, unarmed skills, retreat, and whatever other items they have equipped. In order to use consumable items in combat, you need to equip them individually, or one of the pieces of equipment that let you access your full inventory. When a character has their HP reduced to 0, any further damage dealt to them will reduce their max HP, which gets restored after sleeping at an inn or guild tower. Aside from the unusual advancement system, there’s not much to criticize here. The advancement system is strange; actually using TP doesn’t seem to have much immediate effect, and it feels like the main way of becoming stronger is by making stronger spells cost less to use. Aside from HP and SP, base stats never increase permanently, but they can be temporarily increased or decreased depending on a character’s equipment. While I found the system confusing at first, it grew on me as I progressed through the game and advanced my characters’ skills and Talents. Most of the game plays out like this, which I’m fine with. The Alliance Alive’s visuals are pleasing, with incredibly varied environments to be found throughout the different Realms, although I found the enemy variety somewhat lacking, with many just being palette swaps of others. 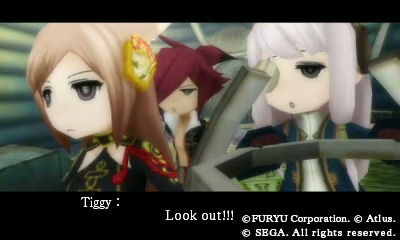 The characters are done in a nice chibi style, with flashy weapon designs and some very pretty pre-rendered cut-scenes. The towns have an interesting almost hand-drawn style, although it sometimes makes it tricky to tell where you can and can’t walk. I also found that the camera angle in the overworld was too low and zoomed too far out, and although it can be rotated it’s not possible to change the camera angle in other ways. None of the dialogue in The Alliance Alive is voiced, which is odd during the pre-rendered sequences, which have subtitles and seem to play out as though they were voiced even though they aren’t. The music is fine, but ultimately forgettable. 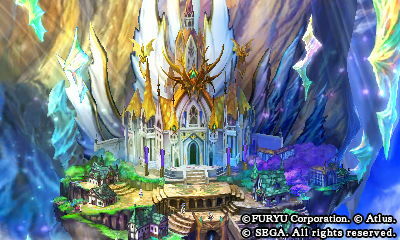 There’s no regular battle theme, with most regular fights just using the regular overworld music for the area. As well, the music seemed to be really low in the audio mix with all the in-game volume settings maxed out. I had to turn up the volume quite high on my 3DS to be able to hear the music, and even then it still seemed too quiet compared to other sounds with the default settings. As much as it seems like it should be voiced, nothing here is. The Alliance Alive doesn’t seem particularly difficult or unforgiving, unless you choose to tackle superbosses or particularly powerful enemies. Optional content comes mainly in the form of optional party members and advancing the guilds, each of which provides their own benefits. Otherwise fights are generally fairly straightforward, provided you keep your team up-to-date with new equipment as you progress. Unfortunately, the game is quite stingy with money, meaning that keeping your team properly equipped is difficult aside from the few times that a character will give you large sums of money all at once. The Talents that reduce store prices and increase the money to be made by selling items become a necessity later on. 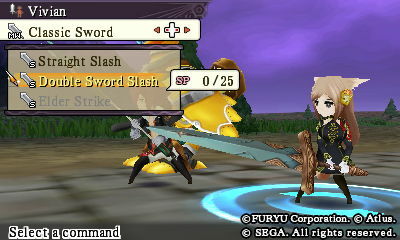 Alliance Alive is a well-made classic-style RPG. It has endearing characters and an engaging story, as well as some great, colorful visuals. It has its quirks, like the unusual and sometimes unclear progression system, and the ultimately forgettable music. Also, some of the button layouts in menus can be unusual, such as pressing the L button to confirm when creating a new formation while it’s not used for that function anywhere else. After a slow start, it picks up as it adds more layers to the story and opens up the diverse world. My single playthrough took around 40 hours, but it can go longer depending on how much time you spend grinding or doing optional content. It’s a solid game for $39.99 USD if you’re into RPGs, provided you’re interested in learning about its unusual systems and mechanics. Easily the prettiest area in the game.